Shopify known better as eCommerce software, an online store builder as well as a website store hosting solution offering, allows you to sell online by providing everything you need to create an online store. Comes with an initial 14 days free trial, Shopify does promised a lot of things to its clientele in one go but what makes them so much better or why one think of opting the company what for, let’s find it out. A noble thought which surely comes in one minds, if say you or me, anyone of us planning to start an eCommerce business or even just planning onto turn an existing businesses to the online world, then one does think onto opt for Shopify as a preferred choice. A leading online eCommerce software and web store hosting solution offering, the company powering more than 90,000 online shops. Better I say, let’s begin with looking onto some of the examples which give you an idea what exactly Shopify can do for you. (Again saying) no matter what your aim is or what you planning for a long term, if you are thinking for a new online store or just bringing your physical store to a new mode in turn to grow your business, considering Shopify definitely an amazing option. An important question, isn’t? You definitely heard of many reviews across the web but some mention things at certain level and some considering on just share little fact-o-figures. I too did think well that what will be the proper context which I will present here, so that at the end of time when you done reading this, you wouldn’t be in confusing state at all. So, let’s begin exploring what Shopify is and why one plan to opt it out and what for. You heard it right. 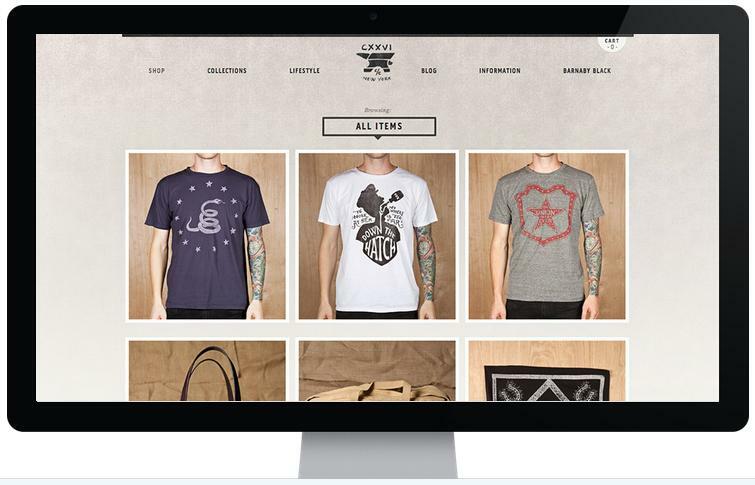 Tell me frankly who don’t want a beautiful looking online store. Well, everyone does and why not? A good design, a good and easy interface all are signs of offering end customers a better system. Shopify offers you to choose from over 100+ professional themes. There are options available for both premium and free eCommerce templates while you will be glad to know that these themes are created by world-renown designers, which includes Pixel Union, Happy Cog and Clearleft. Shopify includes everything. Yes, every important thing you will be requiring to set up your online shop and start selling online. It’s a quick and simple process. You have to start with choosing a theme, add your products and begin with accepting orders, even interesting, you could make your first sale the same day you sign up. Detailing what else comes included in your online shop are detailed customer profiles, custom gift cards, a complete blogging platform, customer accounts and customer groups. Starting with understanding each one of this, in the customer area in your shop admin, you will able to add more information about your customers and their shopping habits which will give you an idea and understanding about what possibly they can purchase. You can find their contact information as well as order history at a single glance itself. Second on the line includes gift cards, as I strongly believe that you to know pretty well that an eCommerce store will sound as incomplete without gift cards option. Shopify taken special care of this here. With gift cards, you will be able to increase your sales and will go on offering a more flexible way for your customers to purchase a gift for someone from your online store. Further, at the time of checkout, you can encourage return shoppers to enable their customer account creation while a worth noting option for you is that it will be easy for you to categorize and export customer lists based on location, purchase history and more. Last but not the least, Shopify offers you a full blogging platform so that you can easily and directly get involved with your customer base. You can publicize and categorize articles in any manner you want and even can encourage discussion as well as moderate comments on your blog. When it comes to online shopping, shoppers always wants to make sure first that the purchase will be performed in a secure and safe environment. This is where Shopify again make it big. The Shopify platform offers over 70 payment gateways to you which you can easily integrate with your online shop. Further on count, there will a simple and secure checkout process while to make securing count more, you will be offered a free SSL certificate at no additional cost, which means your online shop shopping cart will contains an 128-bit SSL certificate which will keep your information secure, just like at the same level of encryption which being used by banks around the globe. Addition to above, you can choose from a number of local currencies and Shopify will itself handle major countries and state tax rates. An important feature you would love to know here is that the checkout comes in more than 50 languages and yes, you can even always translate your online shop’s theme to the language as per your needs i.e. you will gain a complete localization support here. Over to shipping rates, you can set them up in a number of ways, including fixed-price, tiered, weight-based and location-based rates. Further, Shopify’s business and unlimited plan users can receive automatic shipping rates from major shipping carriers including FedEx, UPS and USPS. Last but not the least point under this category, your shop with Shopify can accept VISA, MasterCard and other credit cards as payment, thanks to Shopify (again), which is a certified Level 1 PCI DSS compliant. Happy in learning and/or hearing about this! Why not? The first thing which comes to every online shop owner mind is that if the shop is online, then there will be a huge requirement of both storage and bandwidth. Well, with Shopify, you will never be charged a single penny for the traffic you gain. Plus, Shopify guarantees you with 99.94% uptime, so that your store will always be remains online. The whole of set up is hassle-free in nature, means you need not to worry about anything as your site is created in seconds of sign-up while upgrades are always instant in nature, which means you will get more freedom from any tech worries. Further, white labelling your store, you can create and register a domain name for your store either through Shopify, or through any domain registrar or if you are just starting up, you can use your free .myshopify.com domain. Shopify gives you a huge freedom to share your store with the whole world. You can grab your potential customers using search engines, this is the reason why Shopify supports SEO best practices like customizable H1, title and meta tags. Moreover, the offering also generates sitemaps.xml files automatically so that whenever new products and sites changes, it will make a buzz on search engines quickly. Further with the world in which we are today of social media, Shopify here also left no stone unturned. All Shopify themes include social network integration, allowing your customers to share the great products with the rest of world which they find on your online shop. You can also encourage your customers to sign-up for updates from your store. Shopify tightly integrated with MailChimp while it gives you numerous email marketing options. To make your online shop with Shopify a huge success, the company has partnered with Google and gives you an extra $100 in advertising the time when you spend $25, helping you specifically target your demographic. In case, if you are brand new merchant at Shopify, then you are also eligible to receive a $50 worth credit for Facebook. Shopify also includes a built-in analytics which let you keep a track of your sales and progress over time. Enhancing your online shop’s performance from time-to-time will helps you make a great choice for your business, leading to more and more sales in future. This is one such thing which I really like about Shopify. Yes, the company offering a real people support and that also 24 by 7. This means, if you have got any issue, any problem, it can be getting resolved as soon as possible. Along with this, Shopify also offers a huge knowledge base, discussion forums, Shopify guides as well as theme and API documentations to help you out with. Visitors, Total sales, Activity feed, Admin search, Storefront search, Keyboard shortcuts and Google AdWords. Test orders, Authorize and capture payments, Risk Analysis, Fulfill an order, Fulfill many orders at once, Archive order, Cancel and delete an order, Refund an order, View order history, Export orders, Print orders, Contact a customer about an order, Attach note, Attach order tag, Sort and filter orders and Abandoned checkout recovery. Search & filter customers, Edit customer details, Export customers, Import customers, Add customer and Customer accounts. Create percentage-based discounts, Create monetary discounts, Create free shipping discounts, Disable a discount and Delete a discount. Add a product, Variants, Filter and sort products, Export products, Import products, Product CSV file explained, Common import issues, Edit products tags, Hide products, Track product inventory and Delete products. Create a smart collection, Create a custom collection, Edit a collection, Delete a collection and Add an image to a collection. View your reports, Export your reports, Set staff permissions, Advanced features and Reports Glossary. Activate the feature, Edit and publish gift card, Purchase a gift card, Redeem a gift card, Manage purchased gift cards, Issue a new gift card, Customize Gift Card Notifications, Customize gift card’s look and feel, Modify gift card settings and Export gift card products. Pricing – Is It Worth The Investment? The biggest and important question which one definitely makes a count before considering to buy anything. Count on one thing here is that if you are looking onto something for free, Shopify won’t be able to offer you that. But, what Shopify promise is that if you are looking for a solid, flexible and robust online shopping solution, then Shopify is something good which you can consider for sure. Shopify basically offers a three pricing tiers, which is $29 per month for basic plan, $79 per month for professional plan and $179 per month for an unlimited plan while if you want something to get started with, Shopify also offers $14 per month as a starter plan. The more higher the plan you consider on choosing, the more features and tools you will get on board plus an add-on benefit you will get is lower on the credit card transaction fee. Premium Store Front Themes – Shopify offers a huge collection of over 100+ professional themes. Shopify Apps – Shopify gives you a huge option to add more / extend functionality to your online shop as the way you grow your business. Shopify brings in a huge advantage to you to build and manage an online shop with a secure shopping cart. Support available round the clock, whole week. 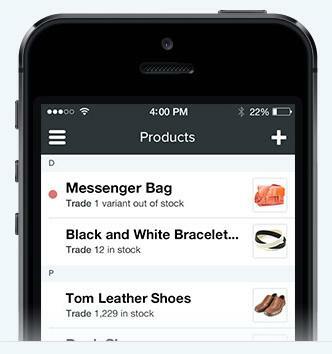 Shopify’s Point of Sale (POS) system will let you grow your offline retail store also. 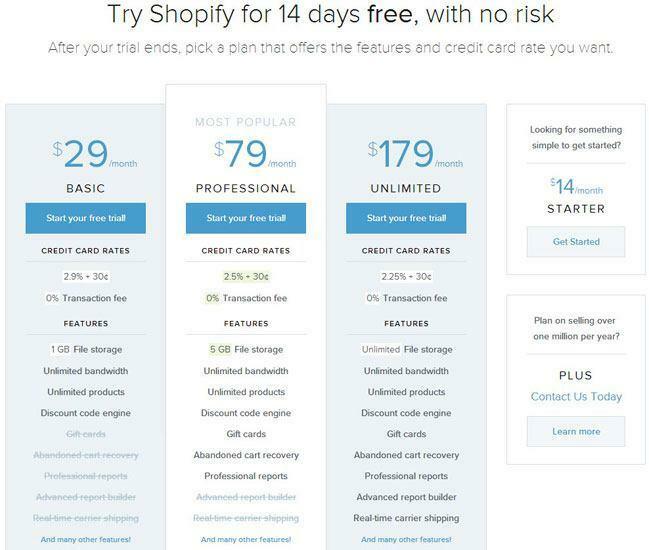 Over the top, Shopify offers a risk-free 14 days trial, so that you can try the offering first free of cost.